Frank Kidson was an English folksong collector and musical scholar. He was also an artist, writer and historian. He was born in Leeds in 1855 in Centenary Street, on the site of what is now Victoria Gardens. He was one of the founders of the Folk Song Society in 1898, and published a number of books on traditional music, song, and dance, and wrote many articles for local newspapers. 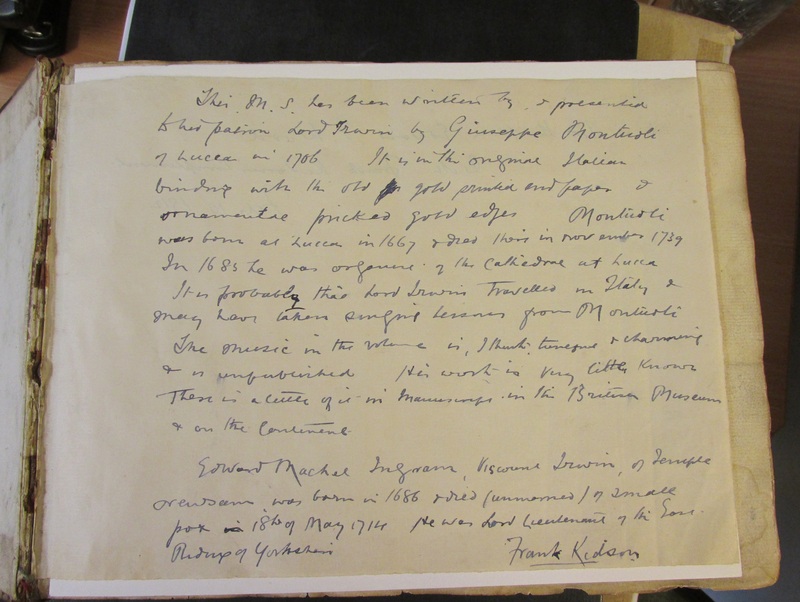 Frank Kidson owned a huge collection of items, and the majority of his collection is now at the Mitchell Library in Glasgow, although we have a good number of items in the Local and Family History department of our Central Library – including original notebooks, sketchbooks and collections of broadsides. He also contributed 365 articles to the Grove Dictionary of Music and Musicians (available in our Music and Performing Arts Library). You can see a full list of the Kidson items we hold via our Research Guide. 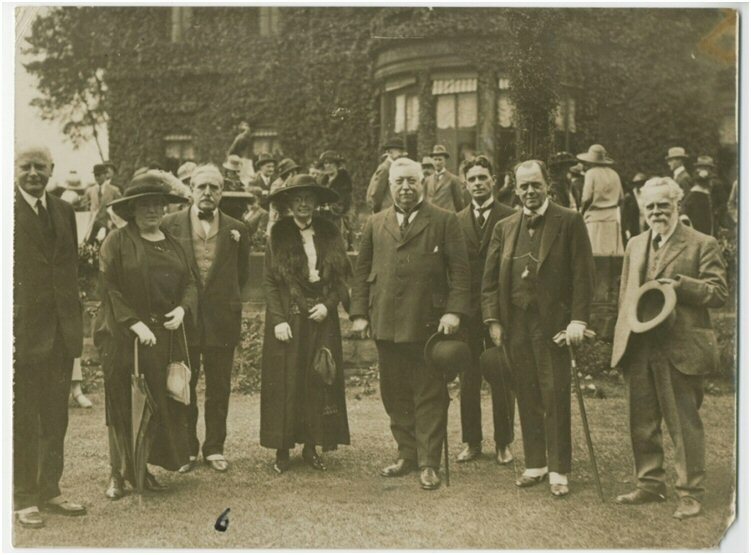 In 1923 Frank Kidson was awarded an Honorary MA Degree from Leeds University in recognition of his work. After his death in 1926, his niece, Ethel Kidson, edited and published two further books from his collections. On 20 May 2003, a Blue Plaque was erected by Leeds Civic Trust at his former address of 5 Hamilton Avenue, Chapeltown, Leeds. To view the collection, please visit the Local and Family History department on the 2nd Floor of the Central Library. Two forms of ID (one with your name and another with your address) and at least 24-hours notice will be required to view items from the Treasures or Collections. Please call 0113 378 5005 for further details and to book an appointment.